The Chinese new year begins on Monday, February 8, 2016 this year and Panda Express will be celebrating by passing out free Chicken Egg Rolls (because they somewhat resemble gold bars) on the day. They'll also be handing out coupons for future free food in red envelopes the same day. Each red envelope contains a coupon for a free Firecracker Chicken entree and a drink for future use (you can't redeem it on the same day). To get your free "Gold Bar," you'll need a coupon from CelebrateCNY.com. 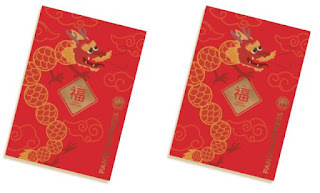 From there, you can also send the coupon to your friends or family or whatnot in a virtual red envelope.